Daniel and I are celebrating our 5th Wedding Anniversary this week. To celebrate, we have been giving one another little surprises. Daniel is way better at it than I am. He surprised me with this sweet little teapot that I've been wanting. 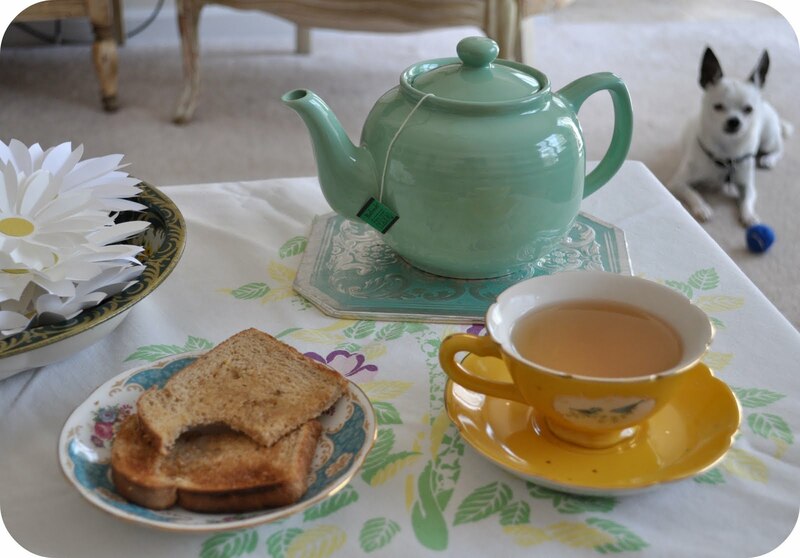 Bono and I have been having tea parties in the morning time. 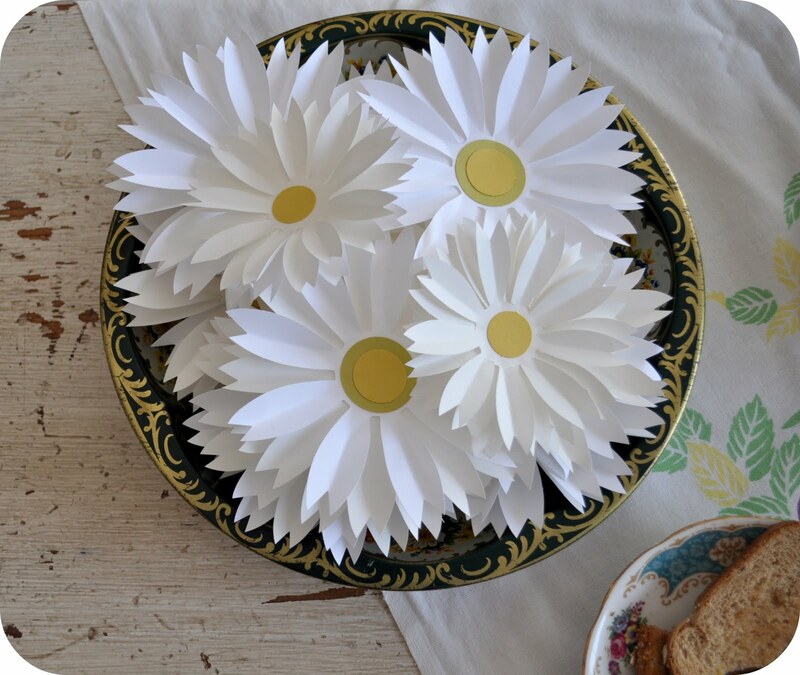 My dear friend Amanda sent me a daisy kit (one of my favorite flowers) and I have been having so much fun thinking of ways to decorate with them. I've decided that they are my anniversary flowers and I want to put them everywhere. I love how simple things like daisies from a dear friend and a teapot from my Daniel can make everyday so happy. I've been trying to think of ways to surprise my Daniel. He has been hinting about a chocolate cake. Here's to surprises and morning tea parties. Happy 5th wedding anniversary! This is so exciting and sweet! happy 5th! we were married in the same year! check your mailbox -- soon. Happy Anniversary!! That teapot is gorgeous and you are very cute in that photo! Love the daisies! Hope your day is wonderful! Here's to morning tea parties indeed! 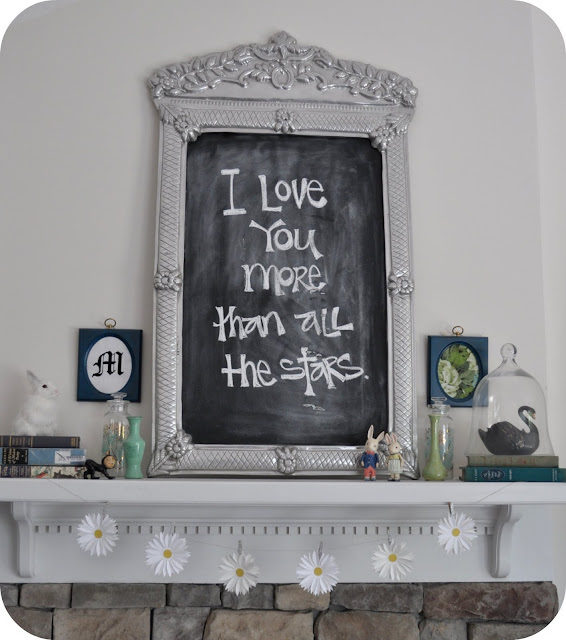 Love the framed chalkboard display! eee, happy anniversary to you both. I love teapots and teacups! And the daisy kit is CUTE! I am glad I found your blog...now I will have to check out your Etsy shop! I will also add your link under my blogroll. Oh Darling, Let's Be Adventurers.